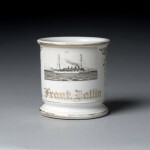 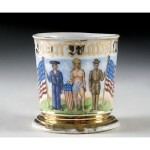 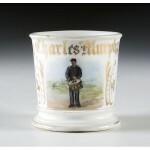 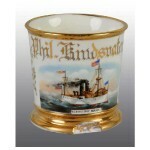 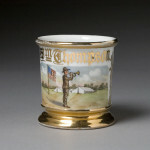 Military Mugs are very desirable to collectors as they sometimes are easier to trace down who the original owner was if there are records from his unit, or if is unit is identified on the mug. 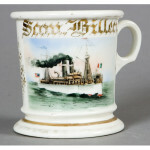 Some of these could be classified as Patriotic mugs as well because the owner might not have been in the military but just liked the look of a cool battleship on his mug. 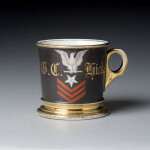 Common designs are naval ships, soldiers in uniform, and guns or swords.